Well HELLO SUMMER! Oh man, I can’t even express how excited we are for Summer. Lazy mornings, the beach, and BBQs. Three of my favorite things. Who already has BBQ’s planned? Me too! While my family LOVES to have and go to Summer get-togethers with friends, I often find myself scratching my head as to what to bring. Until now. I’ve come up with your new go-to favorite. Okay, first off, pasta salad, SUMMER MUST HAVE. Second , I’m kind of obsessed with anything on a stick, remember? 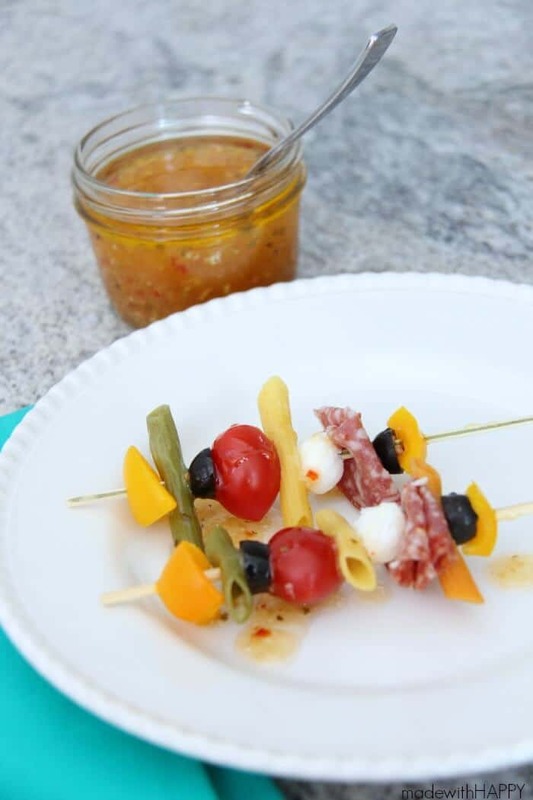 Lastly, by making it with the Ronzoni Garden Delights pasta, you’re not only adding a serving of veggies with every 4oz of pasta (AWESOME), you’re adding a ton of color to the appetizers which makes them look awesome and we all know I love color! Prepare pasta according to directions and let cool. Using bamboo skewer sticks, thread on each of the ingredients onto the stick. Serve with bowl of Italian Dressing on the side or drizzled over the top. 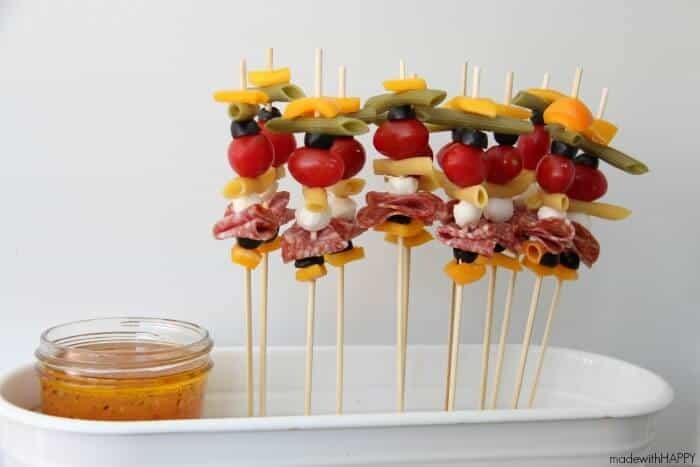 Line the skewers on a tray or even serve in a vase for an unexpected fun appetizer display. 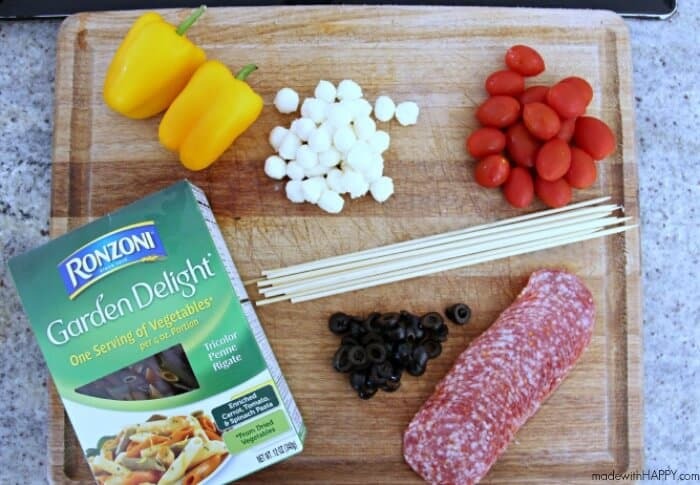 There are two ways you can now save on Ronzoni Garden Delights at your local Walmart. 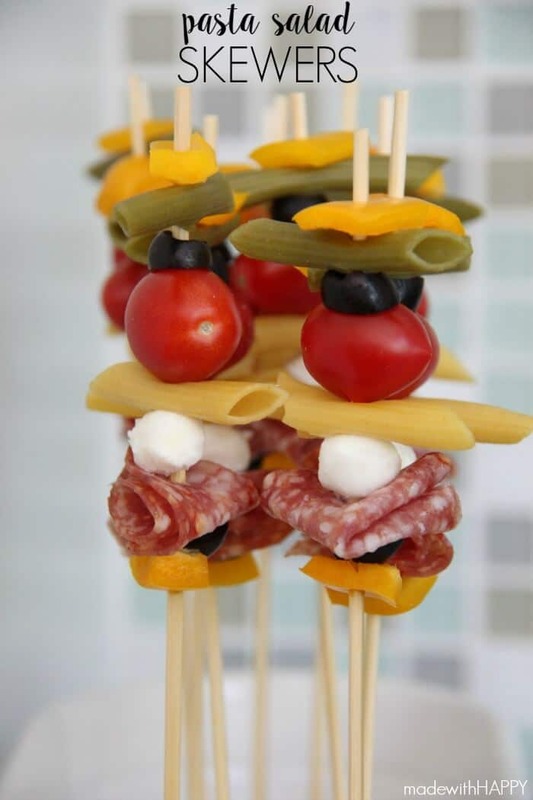 What a creative idea for an appetizer – Love it! I think kids like foods presented this way too – I will have to give it a try with my kids…. maybe even get them to assemble! I may or may not be sitting at my computer drooling right now. This is genius! I always say everything tastes better on a stick. 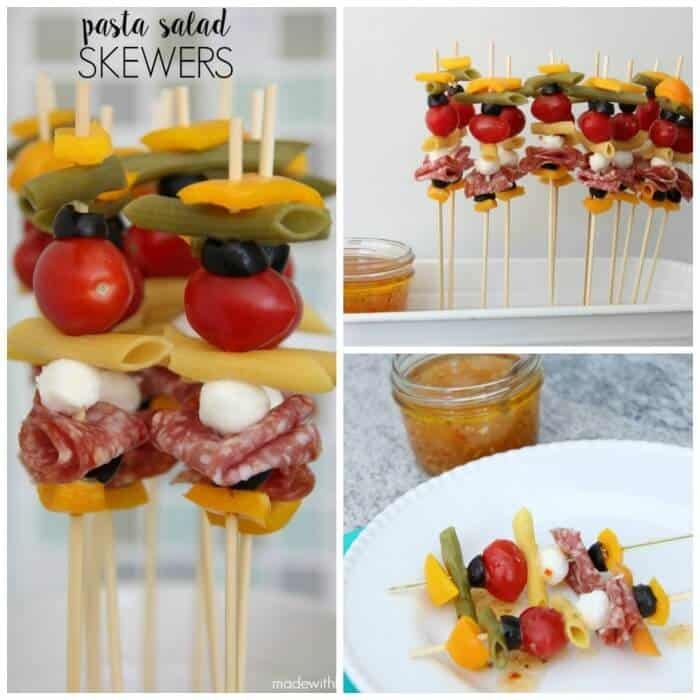 I would have never thought of pasta salad on a stick but is definitely fun. What a perfectly easy summer treat! Thanks for linking up at the #homemattersparty this weekend. We’re glad to have you.